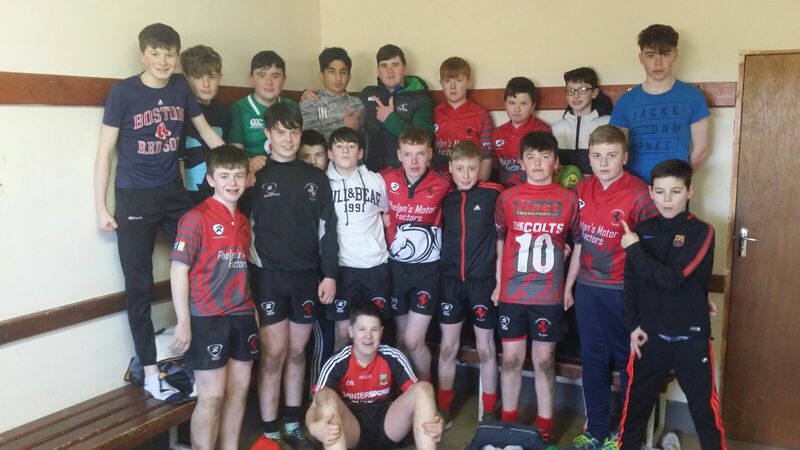 The Colts U14s played the first round of the Connacht Plate against Corrib in Ballyhaunis on bank holdiay Monday. Against a fresh wind the Colts were first to score with Jack Creighton running up the line to score. 7-0 to Claremorris. 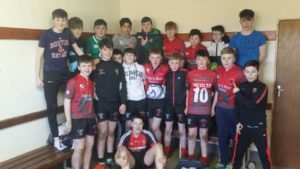 Unfortunately the Colts took their foot off the gas after that and allowed Corrib to run in 3 tries due to poor tackling which meant it was 7-17 at half-time. Following ‘inspirational speeches’ from coaches Mike Smith and Eoin Colgan, the Colts came out for the second half a different team. Three tries from Brian Eagney, Brian McWalters and Jack Creighton finally edged the Colts ahead. The golden boot of Jack Melvin also tacked on vital points. 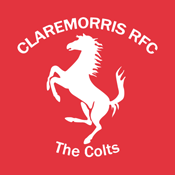 And so with two minutes to play the Colts fought desperately to secure their 26-22 advantage. Corrib threw everything at the Colts who defended their line. Full time finally came and saw a great win for the Colts. Well done to all and a particular well done to captain Luke Colleran. Onwards to the next round against Monivea next Saturday.